There will be a new name on the Stanley Cup this year. The Washington Capitals have yet to win the Cup since joining the league as an expansion team in 1974-75. As for the Vegas Golden Knights, they are only in their first year as a franchise. With the Pittsburgh Penguins winning it the previous two years, there has been some diversity amongst the conference finals with teams who do not usually come this far. The league is changing, is it for the better? Who will win the Stanley Cup this year? The Vegas Golden Knights have had a first for everything this year, being their first year as a franchise. 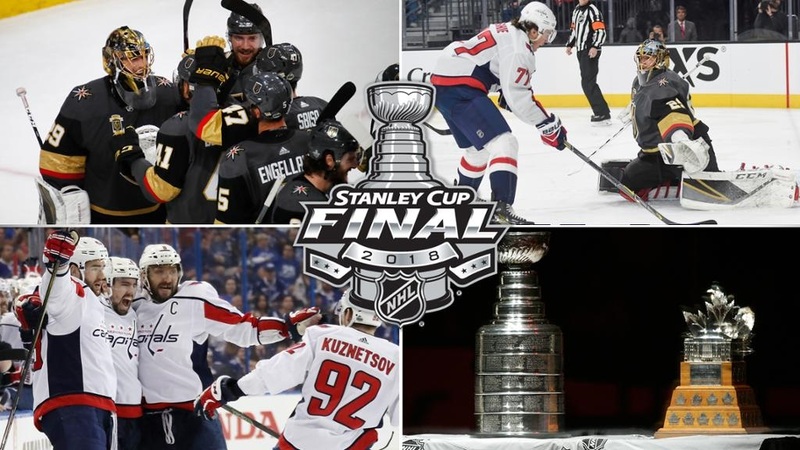 Vegas has matched the St. Louis Blues in being the only teams in NHL history to make it all the way to the Stanley Cup final as expansion teams. Do the Golden Knights have it in them to become the first expansion team in NHL history to win the Stanley Cup or will they remain in the same seat as the St. Louis Blues coming up short in the final round? A year ago, Fleury was on the defending Stanley Cup champion’s team looking to bring home the cup for the second consecutive year with the Pittsburgh Penguins. Now he is the face of the newest franchise in the NHL, the Vegas Golden Knights. Fleury has three Stanley Cup rings, and needless to say he knows what it takes to win. His save percentage in the regular season was .927, and .947 in the playoffs. A standout and essentially Vegas’ MVP of the playoffs, can Fleury bring the Stanley Cup to Las Vegas to create history? Between the two of these Russian forwards, they have a combined 46 points in the playoffs. The duo have been seen on the same line throughout the playoffs. Their chemistry is a force to be reckoned with. Ovechkin is a 13 year NHL veteran but has never made it to the Stanley Cup final in his career. Ovechkin and the Capitals consistently come up short to his greatest rival, Sidney Crosby and the Penguins until this year. Ovechkin, the 2004 NHL first overall draft pick, has been considered one of the best players in the game ever since. Does he have what it takes to give Washington their first ever Stanley Cup Championship?